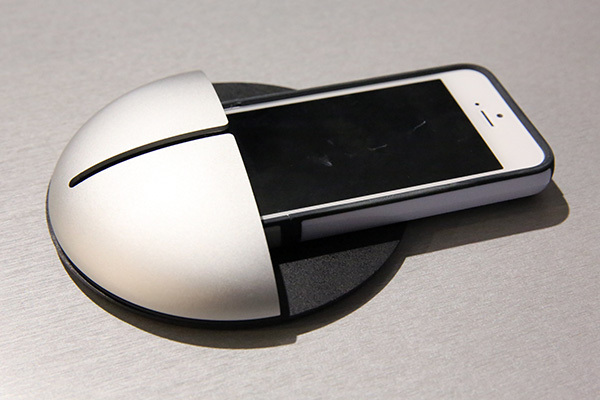 One of our favorite companies for all-things Apple accessories is doing it big at CES 2013. Just Mobile's new line of Apple-focused accessories includes some really cool products most of which are aluminum-centric and made for the iPhone, iPad and iPod touch. The first on the list is Just Mobile's $30 AluPocket, a peculiar looking object is believe it or not a plastic and aluminum constructed mount that can fit any iPhone model with or without a protective case. The back features 3M adhesive strips for effortless mounting and removal from walls and other flat surfaces you'd like to mount your iPhone to. We're honestly not so sure how practical a wall mount for an iPhone is, but the AluPocket is also designed to route a charger cable thru it, essentially transforming it into a wall mounted charging dock. 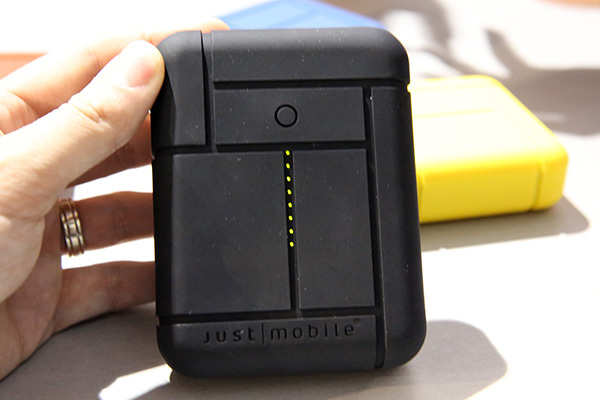 Just Mobile has also introduced the $109 Gum Max Dual, a high-capacity battery backup charger that's essentially a more rugged version of the company's aluminum constructed Gum Max, albeit with a massive 11,200mAh internal battery capacity. The Gum Max Dual is wrapped in a thick silicone sleeve that can be removed and replaced with a different color without obstructing the LED battery level gauge. It also features two USB charging ports - one powerful enough to output 2.4A of power for quick and efficient charging of a tablet such as the iPad and iPad mini while the other provides 1A of power suitable for charging up an iPhone or iPod. Like the ones before it, the Gum Max Dual will not include any charging cables except for a micro-USB cable to charge the unit itself. 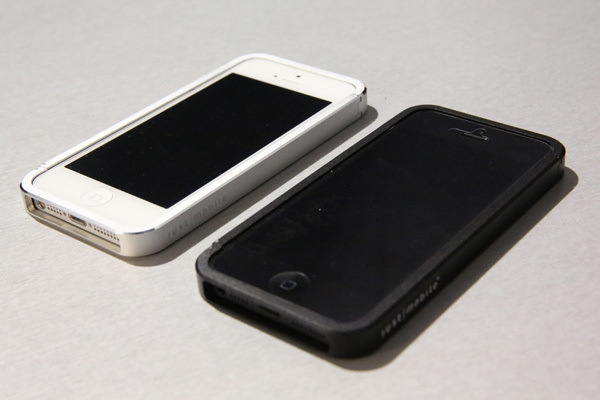 For the first time, Just Mobile has introduced an iPhone case called the AluFrame. 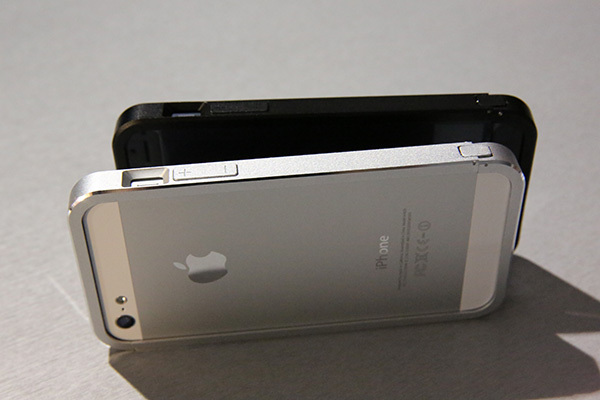 It's a $59 bumper-style aluminum constructed case designed with chamfered edges that tie in with the iPhone 5's original design as much as possible while adding some protection. The AluFrame features an integrated volume rocker, a sleep/wake button and can be installed easily with a push a button. No tools or screws required. 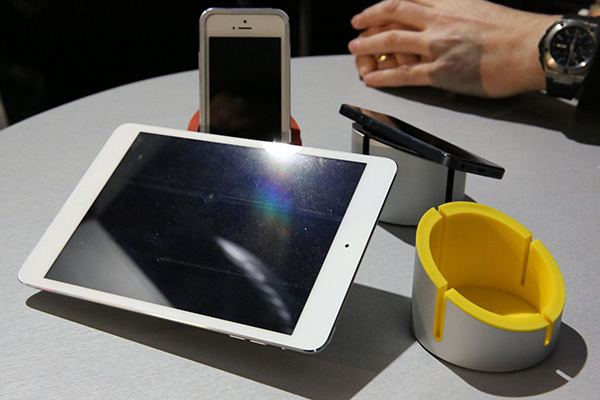 Lastly, Just Mobile's AluCup is an interesting $30 universal iPhone, iPad and iPod stand. The slanted stand is a solid rubber base wrapped with aluminum that can be used for laying any device flat on top for a hands-free tilted viewing angle or standing up. As the name implies, the cup shape lets users prop their iPhone or iPod vertically while the interior rubber insert ensures not to cause any damage. The slits in the base aren't additional stand angles, but instead offer multiple points for inserting a charging cable thru.